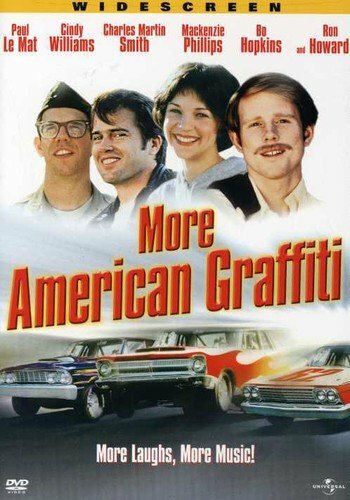 Retro Movie Review: MORE AMERICAN GRAFFITI (1979) | Birth.Movies.Death. Where were you in '63? And '64? And '65? And '66? The lesser-known sequel to George Lucas' masterpiece spans four years of the turbulent 60s. American Graffiti is the best thing George Lucas ever did. In fact it’s one of the great movies of all time. It’s an anomaly in Lucas’ filmography, as it’s the most human film he has made, almost as if he poured everything real and honest about himself into this one movie and had nothing left to say. It’s also a weird movie to sequelize. It’s a perfect film all on its own, a dusk to dawn snapshot of a certain kind of life at a certain time. And the film’s epilogue, an almost incongruous series of title cards revealing the fates of the characters (which was mercilessly mocked by John Landis in Animal House), puts a neat button on the film. Not only do you not need any more, but the title cards subtly shift the meaning of the film from one of nostalgic celebration to nostalgic mourning. This night, the ending argues, is the one of the last nights of an innocent America. But George Lucas being George Lucas, there was a sequel to American Graffiti. Released in 1979 More American Graffiti takes its title from the sequel to the first film’s popular soundtrack album and ditches the dusk to dawn approach for a more ambitious, difficult concept - it takes place on four different consecutive New Years Eve’s, which are intercut together. This makes More American Graffiti one of the most ambitiously admirable bad (or maybe not-good) movies I’ve ever seen. Each of the four segments is shot not only in a completely different style but on different film stock, with the 1964 Terry the Toad in Viet Nam stuff being shot on hand held super 16mm, John Milner’s 1963 drag racing shot in super wide 2.35:1 and the 1966 hippie dippie business shot with multiple split screen panels, like the Woodstock documentary. The fact that each year has such a unique feel helps as the film cross-cuts, but also underscores the movie’s themes of a rapidly changing America. All of that is great, but it’s in the service of some not-particularly inspired storytelling. The storylines interweave on screen, but rarely feel like they’re commenting on each other thematically. There’s some nice inter-story heightening of tension - we know from the end of American Graffiti that Milner dies in a car crash and that Toad goes MIA in Nam, and references to these events in other stories keep us on our toes - but the back and forth feels arbitrary. The stories themselves often go nowhere. Particularly frustrating is Candy Clark as Debbie Dunham; Debbie has become a pot-smoking hippie in pre-Summer of Love San Francisco, and she spends the film’s running time learning that her sleazy musician boyfriend is sleazy. Instead of saying something about the hypocritical anti-feminist attitude of the hippies, the film just has her floating along with a bunch of characters straight out of Hair. Maybe if all of these characters had died at Altamont I’d be happier. More successful in addressing feminism is the 1967 segment, which finds lovebirds Steve and Laurie (Ron Howard and Cindy Williams) on the brink of divorce. They have twins, but homekeeping is unfulfilling, and she wants a job. Old fashioned (and mustachioed!) Steve refuses, so she leaves home and gets caught up in a university protest that turns violent. This might be the best segment because it’s fun watching these two squares getting radicalized at the end of police batons, and because there’s a sense that these characters change. The tale of Terry the Toad in Nam is the ‘humor’ section of the film, but it’s partially hobbled by a generally cheap aesthetic. Never has The Nam looked more like Northern California. It’s also troubled by the fact that it barely fits the gimmick of the rest of the movie; Terry’s day is so event-packed, and features one character doing such a 180 in his worldview, that it feels like a week. I found myself less involved in the story and more involved in wondering when all of the Viet Nam cliches included in this segment - foolish superior officer who has no combat experience, men trying to injure themselves to get home, bombing our own positions, generals lying about body counts - became a standard shortcut of cinematic language. Milner’s segment is the most melancholy, and it’s also way too long. It’s the last day of his life, and we see the sparks of hope that he has even before he rides off to a fateful meeting with a drunk driver. It’s touching, but overextended. The structure of his story seems to be all about faking us out, making us think that THIS is the moment when Milner dies, which really undercuts the mournful air that it has. In 1979 Richard Dreyfuss was still picky about his roles, so Curt doesn’t appear. He’s mentioned as being a writer in Canada, probably dodging the draft. Will Seltzer plays Andy Henderson, the younger brother of Curt and Laurie, possibly taking Curt's part in the film. For trivia nerds Seltzer was George Lucas’ #2 choice to play Luke Skywalker. Would have been quite a different Star Wars with him. At any rate the lack of Curt - the character with whom Lucas most obviously identified in the first film - really hurts the movie. It isn’t that the film is necessarily bad, it’s that about 30 minutes in you feel like you ‘get it’ and don’t need to watch any more. Where American Graffiti had an organic, rolling structure that brought us along through the night, More American Graffiti’s interweaving structure brings lots of stops and starts. There’s something more belabored about this film; American Graffiti’s wall-to-wall soundtrack emanates naturally from the radios of the cars cruising the strip, More American Graffiti’s soundtrack is a bunch of arbitrarily laid on nostalgia songs. Lucas didn’t write or direct the film, which was made during his producer/mogul period. Bill L Norton* wrote and directed under Lucas’ guidance; George even shot some of the hand-held Nam stuff. And there’s a lot of Lucas in the movie, and a lot of things that presage what we would come to see in the prequels. The small universe principal is at play here big time - when Debbie and her hippie boyfriend get pulled over for smoking weed in the car, it’s Harrison Ford’s Bob Falfa, now a cop, who does it. Terry’s Viet Nam buddy happens to be Joe Young, the leader of the Pharoahs gang from the first film. There’s also a sense of prequelitis, thanks to the first film’s epilogue. To be fair this film handles it better than the Star Wars Prequels did, playing with our expectations instead of slavishly catering to them. You can sense Lucas hoping to get a second franchise with this; perhaps he wanted a world where he was making Star Wars movies every few years and American Graffiti movies in between. More American Graffiti certainly ends two of its stories on notes that lend themselves to sequels. While the film itself is formally audacious, there’s not much of a central story idea here, making More American Graffiti feel like a cash-in on a popular movie (and soundtrack) rather than a necessary examination of the next four years after the first film. That said, I actually wouldn’t mind one last American Graffiti. A third movie that picks up during the 80s or 90s could be interesting**, especially as Dreyfuss would certainly be willing to come back, if his latest career is any indication. 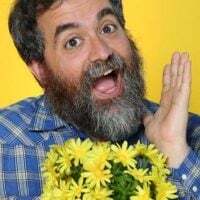 We’re back in another nostalgia wave, and it would be fascinating for Lucas to hand off Even More American Graffiti to a director whose formative years were during the grunge revolution. Especially if the film were shot in a multitude of styles. In a lot of ways More American Graffiti is the manifestation of the warring sides of George Lucas. This is a going back to the well film, a movie motivated not by story but by finances. At the same time the film’s structure and style is more in line with George’s constant crowing about wanting to make experimental or art movies. By serving these two sides of the Lucas, More American Graffiti ends up being successful at neither. * Norton is mostly known for TV work. His dad, on the other hand, wrote films like Big Bad Mama and White Lightning... and was a gun runner for the IRA. Kind of an exciting CV. ** We already have Dazed and Confused, so there’s no need to revisit the 70s.